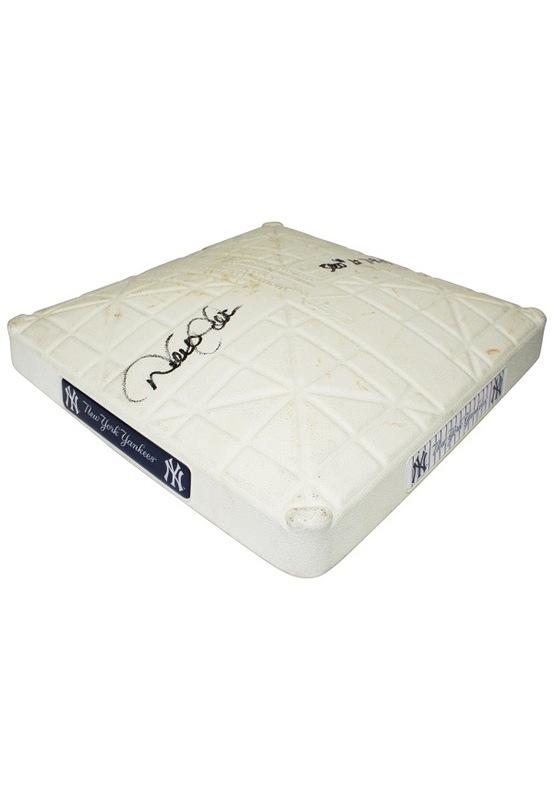 This third base was used on July 9th, 2011 at Yankee Stadium during the game that future Hall of Famer “The Captain” Derek Jeter took Rays starter David Price deep to left field for his 3,000 hit. In doing so, Jeter became the first player in the Yankees’ storied history to reach the hallowed number and 28th of all-time. 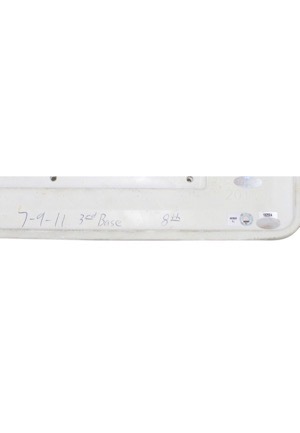 On the bottom of the base reads “7-9-11 3rd Base 8th” in blue pen. 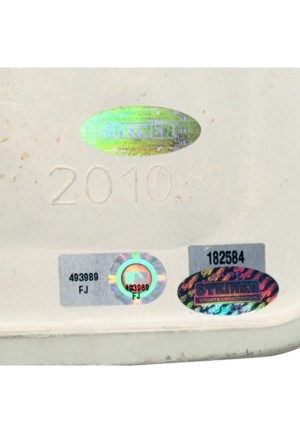 Also on the bottom reads the manufactured date “2010” “MADE IN TAIWAN MLBP”, a MLB hologram serial number “FJ493989”, a Steiner hologram serial number ‘182584” and an additional Steiner hologram. Jeter signed on top of the base in black marker with the added inscription “3000 # 7-9-11” and in our opinion the signature rates a 7. 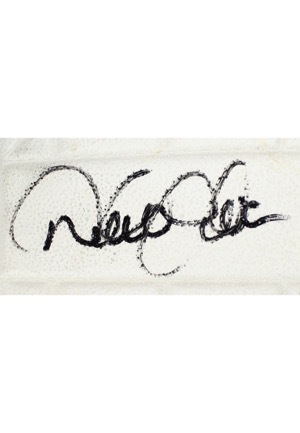 On all four sides of the base is the “New York Yankees” logo in alternating navy blue and white colors. This base shows dirt staining on the top and sides. 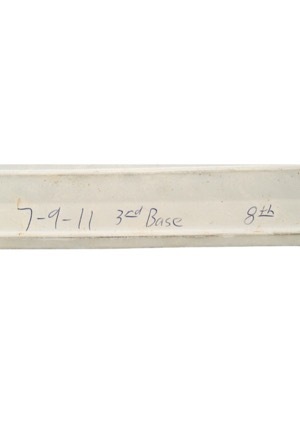 This base was presented to us as game-used. Accompanied by a LOA from JSA and a Steiner LOA.